NEW YORK CITY—In what the company is calling one of its biggest events ever, Sansi North America (SNA) is planning to unveil its new Times Square headquarters on Thursday, November 1. The occasion is doubling as an open-house event during New York Digital Signage Week which is organized and run by Ministry of New Media. 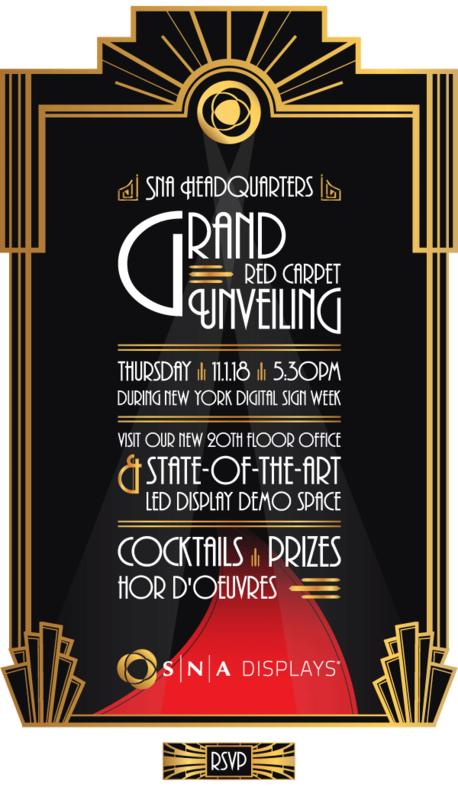 The grand unveiling will feature the first look at SNA’s new flagship office in the heart of New York City’s Times Square. The 20th Floor studio is a newly-renovated, 8,000-square-foot space that includes glass-wall offices overlooking Midtown Manhattan, open-air work spaces, state-of-the-art conference rooms, and a full bar and kitchen area. One of the most noteworthy features of the new headquarters is a cutting-edge demo wall featuring several LED display products of varying pixel pitches, including a long, curved ribbon display and a high-definition main display. The demo wall will allow existing and potential clients to touch and feel many of the display products in SNA’s lineup. With full content management and scheduling software, the sales team in the New York office can also show clients how certain types of content might look on their application. SNA’s director of human resources said the move from the company’s previous Times Square location was necessary to accommodate recent growth. The grand unveiling, which the company is terming a “red carpet” event, will begin at 5:30 pm Thursday, November 1. Food will be catered, and attendees will enjoy an open bar. SNA is encouraging all New York Digital Signage Week attendees to stop by the unveiling event. Additionally, the company is asking that other clients, potential customers, partners and vendors RSVP. Sansi is one of the largest LED manufacturers in the world, with over 26 years of LED experience and more than 245 patents across multiple LED technology markets. SNA Displays is on the cutting edge of emerging LED technologies and custom systems integration and has fabricated, managed, implemented and installed some of the largest and most recognizable LED spectaculars in the digital display industry.